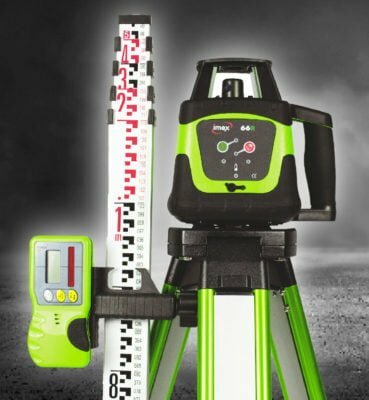 Whether you need the latest technology to help you survey or scope out your construction project, laser levels are without a doubt one of the most effective tools to help you get the job done quickly and effectively. While on the surface it may appear that all of them are created equal, choosing the right one for your budget and specific needs is essential in getting the most from your purchase. In use since the late 1970s, laser levels represent a significant upgrade over the standard level, and their convenience and accuracy simply can’t be beaten. While the traditional level is still effective in certain situations, investing in a high-quality laser level tool can pay for itself with just a few uses. Though laser levels might seem overly complicated at first, once you’ve used one, it’s almost impossible to go back. Regardless of whether you’re looking to upgrade your current laser level arsenal or buying one for the first time, we’ll walk you through what you need to know step by step. In this in depth guide, we’ll be covering the benefits of using a laser level, the three types of these levels on the market today, and what to look for when buying a laser level, as well as showcasing some of the latest reviews for the best laser level UK options. Given that a laser level is a slighter larger investment than a traditional level, is there a need to purchase a laser level in the first place? The answer for most construction workers, surveyors, and DIY enthusiasts is an easy yes. If you value your time and the accuracy of your measurements, investing in a laser level is an absolute no brainer. Again, traditional levels certainly have their place in everyone’s tool box, but spending hours manually measuring can quickly add up to a ton of time! Designed specifically to display a level line over a large space, a laser level allows you to instantly see the area in which you’re working with just a click of a button. This is especially useful when building a room in a house or wanting to know the levels of the foundation you’re aiming to build on. Best yet, the laser technology can be used to effectively display horizontal and vertical laser lines even on uneven sloops or otherwise tricky angles. Of course, the laser also significantly improves the accuracy of your measurements and isn’t prone to human error, as would be the case when using a regular level. They also allow for a wide variety of uses, so you can use your purchase time and time again, no matter the occasion. Are you hanging a picture on the wall? Are you installing tile? The laser level is designed to help you get the job done right from the start. Additionally, most are incredibly easy to set up and use, even if you’ve never used one before. With a simple and easy-to-understand interface, a laser level won’t send you running to the instruction manual before you can get started. Perhaps the most significant benefit of using a laser level is it gives you the freedom to focus on your project with hands-free levelling. Simply set up the laser in a spot that will reach all areas you want to see, and the lasers will do the rest of the work. 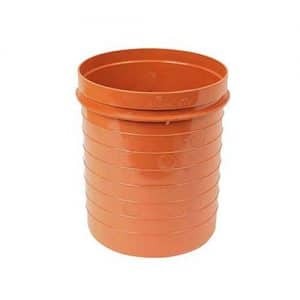 While they are especially helpful for difficult construction projects, they can also be used effectively for simple projects around the home that you’ve perhaps been putting off for months. Overall, a laser level is a great investment that you will use time and time again, and since they can be used for any size project; you’ll be surprised at how many times you find yourself reaching for your new investment! Now that we’ve covered the benefits of using a laser level, let’s take a look at the three types of laser levels. Just as power tools have a wide variety of options to choose from, laser levels are certainly no different. When looking to purchase a laser level, it’s important to know that there are three distinct types, each of which has their own pros and cons. The first type is mostly used around the home for DIY projects, while the other two are generally reserved for larger construction of surveying. 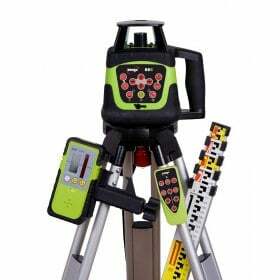 Nonetheless, knowing which type of laser level your need is essential in getting the most value out of these incredible devices. Line laser levels are the most common type that can be used for complex construction work as well as DIY work at home. The laser, as the name suggests, projects a visible laser line across a surface. This ensures that things like cabinetry or ceiling panels can be correctly installed. Incredibly easy to use, line laser levels are useful for hanging a mirror or installing new tile in your downstairs bathroom. Some project a cross in addition to a line, showing you a perfect 90-degree angle. Many are available with a number of beams for different applications. Spot laser levels project a circular dot, rather than a line, which is especially helpful when you need to ensure that something like a pipe is installed at the correct angle. It’s also sometimes called a plumb or dot laser. 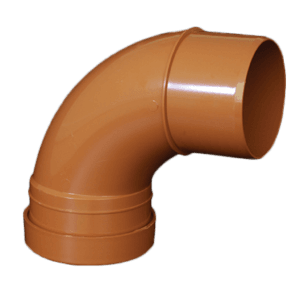 These are generally used in the construction of sewage systems as well as other large scale projects that require a large number of pipes. Some spot or point laser levels, if projected parallel to a flat surface, will also project a visible but short line, and thus can also serve some of the functions of a line laser level. You can find them with both green and red beams; green light is easier to see, but it drains battery power faster. As outdoor laser levels, rotary lasers are designed with the specific purpose of quickly surveying surrounding areas, helping get an accurate picture of the depth and elevation of the land. Usually set on a tripod, the lasers project in a 360-degree fashion, giving a complete picture of the land’s features. Often used in construction projects, rotary lasers are invaluable in helping construction crews fully understand the land they are building on by giving a detailed picture that would be nearly impossible to replicate with a manual level. This is usually the best laser level for builders. At this point, you might be sold on these useful tools, but you may be asking yourself, what is the best self levelling laser level? If you’re primarily using your laser for DIY projects and want an option that fits most household budgets at a reasonable price, consider investing in a line or dot laser. Remember that many dot laser levels can also project a short line for tasks like mounting wallpaper or hanging picture, but for larger and more complex applications, nothing beats a line laser level. If you need a laser that is excellent at surveying surrounding land, the rotary laser level is going to be your best bet. Most DIYers won’t need this capability for around-the-house projects, but it’s good to know they’re available. If you’re in construction, having all three types of lasers available when the time calls is a great way to improve productivity, decrease mistakes, and deliverable an exceptional finished construction project. Additionally, when choosing a laser level, you want to be sure to look for a few key things to ensure you get the most out of your investment. A suitable laser level performs just as good the 26th time you use it as it did the moment you took it out of the box. Look for levels that are shockproof, weather resistant, and able to handle a wide range of environments and conditions. 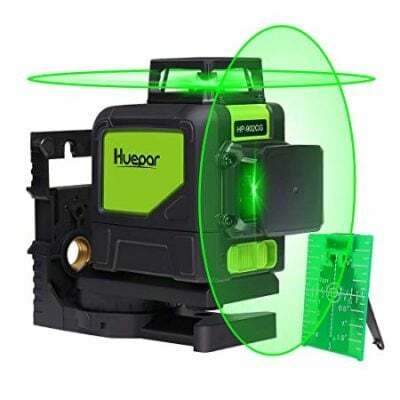 You want a laser level that can tackle a wide variety of projects given your investment. Can it handle the specific projects you need it for? Is it easy to change between modes without having to stop what you’re doing? You might also want to consider a model with a rechargeable battery so you don’t always have to keep a stock of AAA batteries on hand. While they are certainly an investment, you shouldn’t have to mortgage your second home just to purchase one. Keep an eye out for reasonable pricing when making your decision. At the same time, the cheapest option doesn’t always mean it’s your best choice. Does the laser level come with a strong warranty? Most limited warranties last for at least 6-12 months, so aim for that at a minimum when you can. You want to know that your purchase is backed by the manufacturer in case any issues should arise. Is your laser level easy to use? Most of them can be used by both professionals and beginners alike. You shouldn’t need to spend hours searching online for how to use a laser level if the instructions included with your purchase walk you through all you need to know. The most important part of choosing the right laser level is that you invest in the correct type. By following the guidelines above, you should be in good shape! If you’re in construction or surveying for your line of work, purchasing all three types can be an excellent investment to help save time and money. Now let’s take a look at some of the best laser level reviews. Dewalt, Stanley Cubix, and Black & Decker are the biggest names in the game, but with their products, you’ll pay a premium for the brand name. We’d like to direct your attention away from these expensive models to some lesser known brands that keep the quality the same but the price low. If you’re looking for a solid all-around self-levelling laser, then the Huepar 902 is a reasonable option to take a look at. Let’s take a peek at this cross line laser level review. Offers 360-degree vertical and 360-degree horizontal lines with strong laser beams, providing visibility to a working range of just under 40 metres. Uses the latest LD blue-green laser technology to increase the brightness of traditional red lasers by up to 2x. The added visibility allows you to quickly scope the area where you’re working for improved efficiency. Includes multiple functions in one control panel, giving you easy access to several line options, whether you need a cross line, vertical, or 360 degrees of horizontal. Outdoor pulse mode allows for effective operation in often tough-to-measure bright environments, making it easy to get a read of any location. While the Huepar 902CG is a decent option, multiple reviews regarding the battery life and overall durability leave us wondering if it will continue to perform at a high level after extended use. 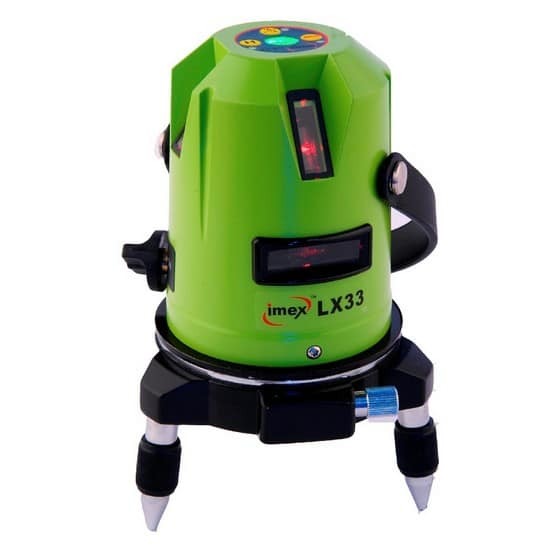 We recommend the IMEX LX22 Cross Line Laser With Plumb Spot Red / Green Beam instead. This reliable and incredibly effective 66 R Rotary Laser level delivers everything you would expect from a high quality rotary beam and then some. Uses the latest technology laser diode for increased performance. Includes an extremely durable lighthouse and rubber sheath for additional protection. Offers an incredible 400m range, which can easily meet the needs of virtually any construction or surveying project. Has a very convenient low-battery detector light, so you’re never in the dark on when you need to recharge your battery. Both weatherproof and shockproof, so you can use the 66R Rotary Laser rain or shine. Has a rotation speed of 600 rpm and accuracy level of an industry leading 2mm @ 30m. 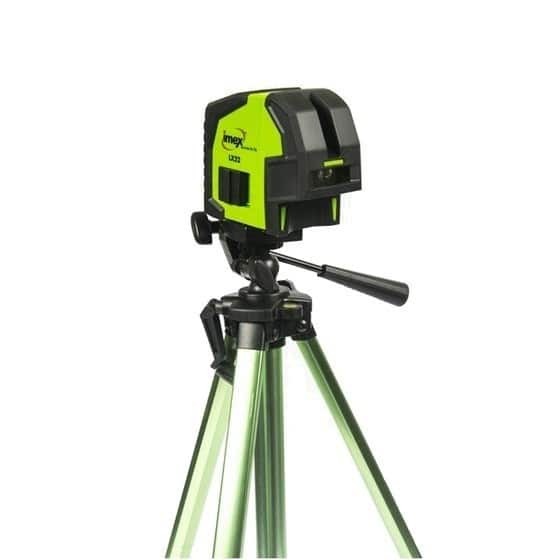 If you’re looking for a powerful rotary laser for construction or surveying, this laser level gets the job done and can be had an incredibly reasonable price. This dot laser packs a serious bunch and is suitable for even the most extensive piping projects. 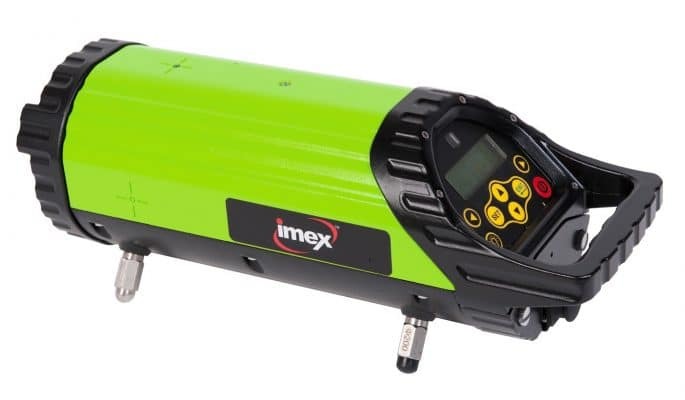 If you need a pipe laser that can handle whatever you throw its way, the Imex PL300G green beam laser level won’t disappoint. This dot laser is truly a builder’s laser level. Offering over 300m of range, there are very few piping projects this laser can’t handle. Includes the ability to interchange feet for 500mm, 400 mm, 300mm, 250mm, and 200 mm pipes. Contains all-metal surfaces and is both water and dust proof, making it the perfect laser to use in virtually any environment needed. Extremely versatile and the perfect tool for below or above ground pipe and manholes as well as sewer work. Uses the latest green beam technology for added visibility. Has IP68 waterproofing for added protection. Next generation beam gives enhanced flexibility and visibility. When it comes to dot lasers, you want a laser that packs a serious punch and can help get even the toughest piping projects done. The Imex PL300G Pipe Laser Level with Green Beam is an excellent overall option at a price that won’t cost you an arm and a leg. 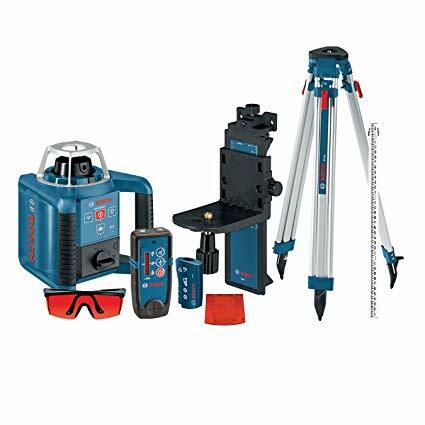 The Bosch self-levelling rotary laser is a decent option to consider when looking for a rotary laser. Offers variable speed lasers including a variety of beam visibility enhancements, making it easy to scan multiple angles and maximum visibility in virtually all light conditions. Incredibly durable and comes with IP54 protection for added dust and water resistance. Comes with a complete rotary laser kit, giving you everything you need to measure your location in a quick and easy way. It is backed by a reputable brand in Bosch, who is known to make great products. An incredibly affordable and powerful three-line laser, the IMEX LX33 Three Line Laser Red / Green Beam is the perfect option for the majority of DIY projects as well as basic construction work. Self-levelling one horizontal and two vertical beams for additional flexibility. The perfect tool for uses involving 90- and 45-degree angles such as kitchen work, cabinets, doors, and more. Uses the latest new laser-EDGE technology IMEX laser for improved performance and accuracy. Includes a Lithium-ion rechargeable battery, laser glasses, target plate, and highly functional carrying case. It is backed by the reliable and customer-friendly IMEX brand. At a very reasonable price point, the IMEX LX33 Three Line Laser Red / Green Beam fits most budgets, and will surely help you with your DIY projects no matter what your needs. 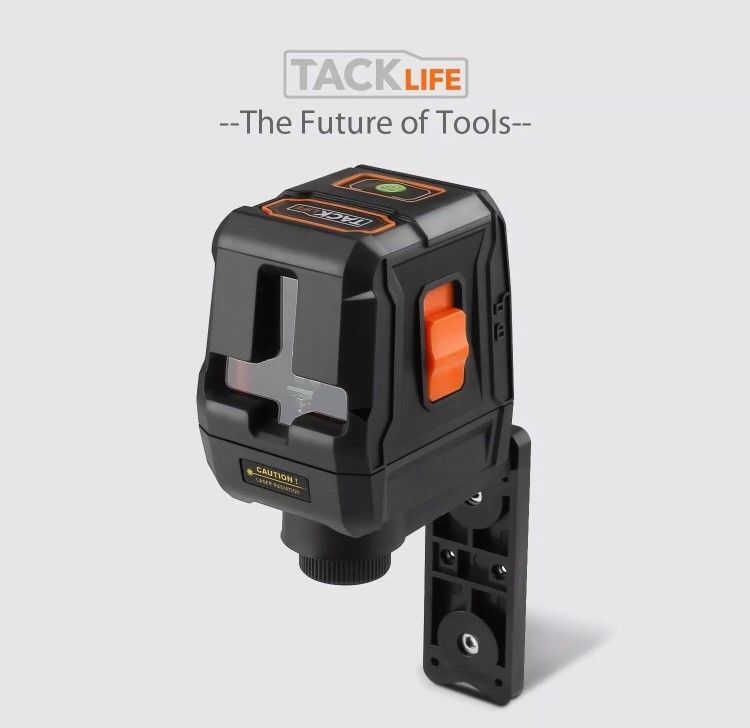 This Cross Line laser by Tacklife is a solid overall option if you’re looking for a self-levelling laser with a magnetic mount that can be used at home and on simple construction projects where needed. Includes a green laser, which is significantly stronger than traditional bright red beam lasers. Has a strong magnetic pivot bracket so you can easily mount the laser on a tripod and adjust to the perfect height. Super compact, light, and easy to carry. Its simple design makes it easy to use by both professional and DIY enthusiasts. If you need a simple laser level for your projects, the Tacklife SC-L07G is a great starter option. However, according to some recent reviews, the light can be a little difficult to see, and it isn’t always as stable as you would want your laser to be. Consider the IMEX LX33 Three Line Laser Red / Green Beam in the meantime. One of IMEX’s most recently released cross line lasers, the LX22 appears to have delivered on their lofty expectations for setting the laser level industry standard. The LX22 features the latest laser edge technology designed for increased accuracy and performance. Includes a thin red laser that is visible at up to 40 metres, making it suitable for most home projects. Can be detected with a detector accessory up to 50 metres away. Offers one vertical and one horizontal beam suitable for a wide variety of projects including interior decoration, window and door placement, floor tiling and more. Incredibly affordable while not sacrificing the quality you need for an effective cross line laser. Overall the latest offering by IMEX is a fantastic value given it fits virtually all budgets and delivers a ton of value for the price point. If you need an entry level laser level, it doesn’t get much better than this. Another powerful rotary laser, the IMEX 88G is an excellent option for those needing a durable and flexible rotary beam that can handle a wide variety of situations. The 88G combines all of the most popular features from previous modules to deliver an exceptional all-around rotary laser. Has both horizontal and vertical beam range of up to 500 m.
Includes a remote, receiver, and rechargeable batteries, literally everything you need right out of the box. With accuracy plus or minus 1.5mm in 30 metres, you’ll be hard-pressed to find a more accurate rotary laser. Incredibly easy to get set up and running in no time. Convenient reset feature automatically returns to the original level if base is moved or bumped. Also includes a useful hard-carry case and 5-metre staff, as well as an out-of-level warning light, so you’re never caught off guard. We hope you enjoyed our in-depth laser review. Whether you’re looking to purchase a rotary laser level, spot laser, or simply a line beam for projects at home, you now have everything you need to choose the right laser level for your needs. If you’ve been looking to invest in a laser level and haven’t done so, we hope this guide has pushed you in the right direction. Adding a laser level to your toolkit just might be one of the best decisions you make in 2019. Thanks! I spent a great deal of time to locate something like this, the IMEX laser levels look great!